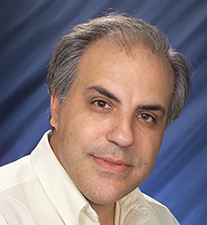 Congratulations to Sotiris Xantheas, a PNNL Laboratory Fellow and University of Washington-PNNL Distinguished Faculty Fellow, who is a newly elected member of the Washington State Academy of Sciences, or WSAS. Including Xantheas, the “Class of 2018” named 29 new members, which WSAS acknowledged was “larger than average,” reflecting its growing outreach. As an academy member, Xantheas will join the 286 scientists and engineers from across the state, including 22 from PNNL, who share their varied expertise to inform policy, enhance the profile of scientific research, and solve critical issues impacting Washington State. WSAS members are part of topical working groups that focus on specific areas of import to the state and its residents, such as environmental quality and sustainability, infrastructure, health, and education, to name a few. WSAS also employs a peer-review approach to its studies and any released reports. In addition to Xantheas, PNNL’s R. Morris Bullock, Laboratory Fellow and Director of the Center for Molecular Electrocatalysis, and Yuehe Lin, Laboratory Fellow, also were elected to the WSAS. All three will be inducted following the academy’s 11th Annual Meeting and Symposium on September 13 at the Seattle Museum of Flight.